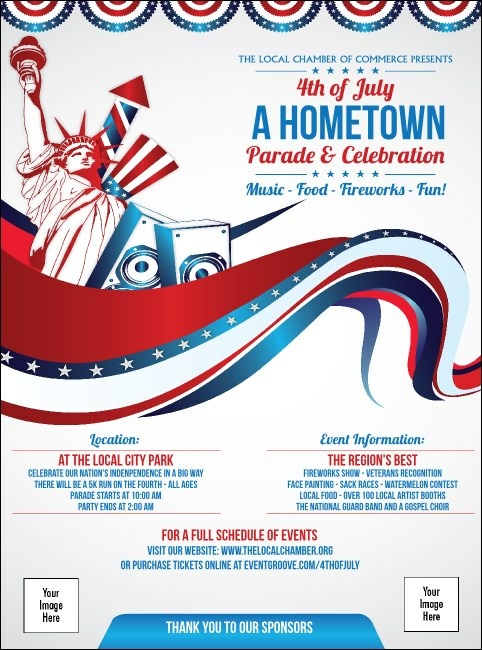 Put Lady Liberty on the forefront of your pre-event promotions when you print Fourth of July Freedom Flyers and post them in advance. These Flyers give you room to upload two unique images like sponsor logos or pictures of featured guests on a background that shows a wave of stars and stripes in brilliant red, white and blue. Enjoy the freedom to print at TicketPrinting.com.